There has long been a myth that if you exercise enough, you can eat whatever you want without implication. We’ve probably all heard someone say “I better hit the gym tomorrow after eating this burger and milkshake tonight.” However, exercise alone is not sufficient when it comes to general health, performance or weight loss. And not only does exercise burn off only a small fraction of the calories we consume (less than 10-30 percent), the quality of the calories we consume will impact our quality of exercise. For optimal health, you need to combine exercise with a nutrient-rich eating plan. Exercise is important, but not a stand-alone solution. Let’s be clear that the role of exercise in a healthy lifestyle should not be underestimated. Not only will exercise help you build and maintain both strong muscles and bones, and help with weight loss, it can also help reduce the risk of chronic disease, and boost one’s mood, among many other benefits. The problem arises when we believe that exercise is the be-all and end-all. If one exercises because they think it will fully compensate for a bad diet, they’re in for a rude awakening. It’s much easier to consume calories than to spend them—it could take you an hour on the exercise bike to “burn off” a brownie you consumed in three minutes. You simply can’t outrun a bad diet. It’s not as simple as calories in calories out. 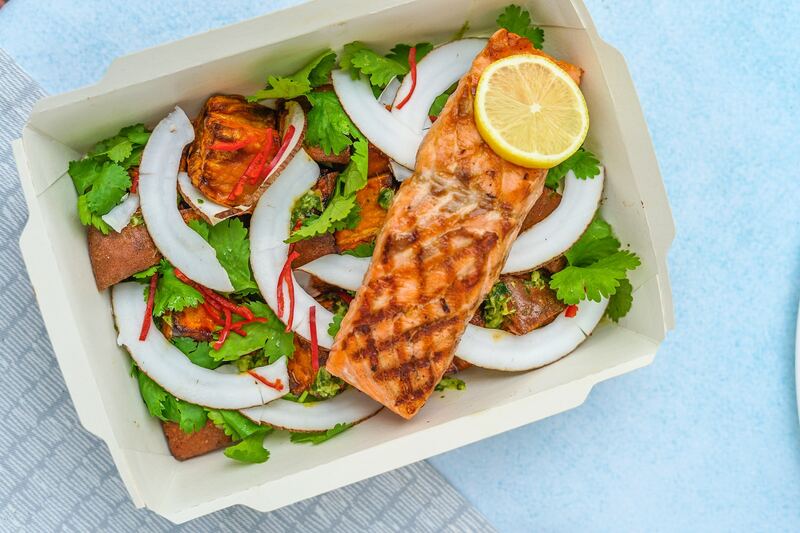 While 300 calories of dessert and 300 calories of salmon do have the same energy potential, the quality of that energy source and the impact it has on your health and performance vary greatly. And because of these varying biological effects, counting all calories equally is not the optimal metric when it comes to good health or performance. 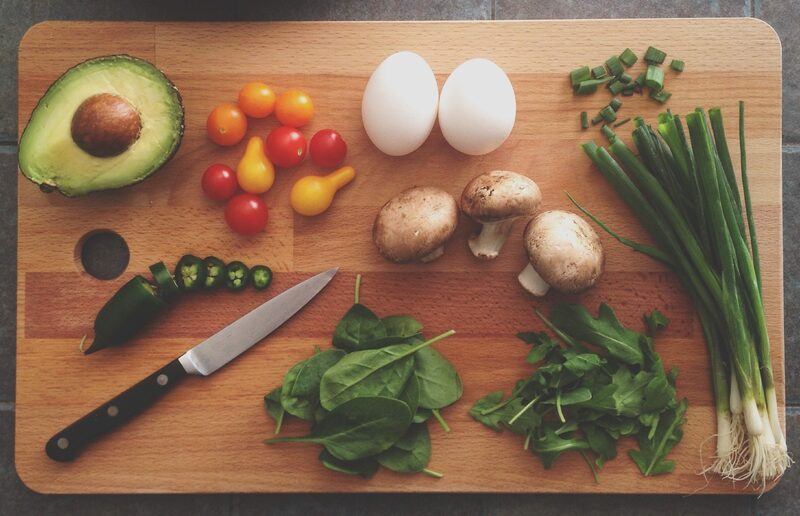 Any athlete will tell you that the quality of their food directly impacts the quality of their workout, recovery, and overall health because we derive energy, satisfaction and nutrients differently from different types of food. Calculating calorie intake and expenditure is a guessing game. Exercise equipment or your smart watch can only provide a best guess since calorie expenditure calculation requires dozens of inputs, which your treadmill and smartphone simply don’t have. Most people overestimate the number of calories they burn, and underestimate the number of calories they consume. Again, calorie counting apps can only provide a best guess for unpackaged foods. (Plus, it’s incredibly time-consuming to record the exact measurement of everything one consumes.) So if weight loss is your goal, your tools might be misleading you. That’s why paying attention to what we put in our bodies matters. Quality food provides quality nutrition. Eating excess refined carbohydrates, added sugars, and/or trans fats will still increase your risk of chronic disease and general health, even if you exercise. They may also impede your quest for maximum strength and endurance. A diet rich in fiber, protein and unprocessed carbohydrates derived from fruits, veggies, whole grains, lean animal or plant protein foods, and healthy fats is crucial. Keep in mind that your body likely absorbs nutrients from real food sources better than supplements and protein shakes; your body doesn’t utilize a highly-processed “nutrition” bar the same as it does a wholesome, balanced meal. All of these elements of the relationship between exercise, nutrition and your body are exactly why it has been clinically shown that a combination of regular exercise and good nutrition is the most effective way to reduce the risk of diet-related disease, optimize strength, and maximize weight loss. If you already workout on a regular basis, you’re nailing one part of the equation, but how do you improve your diet once and for all? Keto, paleo, vegan, gluten-free…there are a lot of buzzwords out there about food—but what’s actually healthy, sustainable long-term, and right for you? First, take an enlightening deep-dive into all of the questions you may have about eating this or that (good fats, bad fats, superfoods, ketosis, organic, probiotics, etc.) with Mark Bittman and David L. Katz in their aptly-named article, The Last Conversation You’ll Ever Need To Have About Eating Right. Then visit Foodstand to put your newfound knowledge into practice with one of our Good Eating Challenges focusing on limiting processed food, eating more plants, eating less animal products, and eating more mindfully—the four, universally agreed upon pillars of a healthy eating plan. Your health and your exercise routine will thank you. Note: For a more in-depth look at a qualitative vs. quantitative evaluation of calories, take a look at “How calorie-focused thinking about obesity and related diseases may mislead and harm public health. An alternative” by Sean C Lucan and James Dinicolantonio in Public Health Nutrition. In recent decades America has fallen victim to the ‘save now, pay later’ mentality. Cheap, fast food that wreaks havoc on our bodies and leads to sky-high healthcare costs is a prime example—costs spared on your grocery bill will surely end up on your medical bills. Full-time workers who are overweight or obese and have other chronic health problems cost employers more than $153 billion in lost productivity each year. At the individual level, an unhealthy employee could cost up to twice as much as a healthy employee, and business owners have no choice but to pay attention. Business owners and CEOs are moving beyond the aforementioned short-sighted mentality and demonstrating their belief in the phrase ‘a business is only as good as its people’ by investing in their employees’ health through workplace wellness initiatives. Some corporate wellness programs see $3-$4 return on every $1 invested. But most businesses don’t have the time, resources, or employee motivation to maximize the benefits of intensive wellness programs. 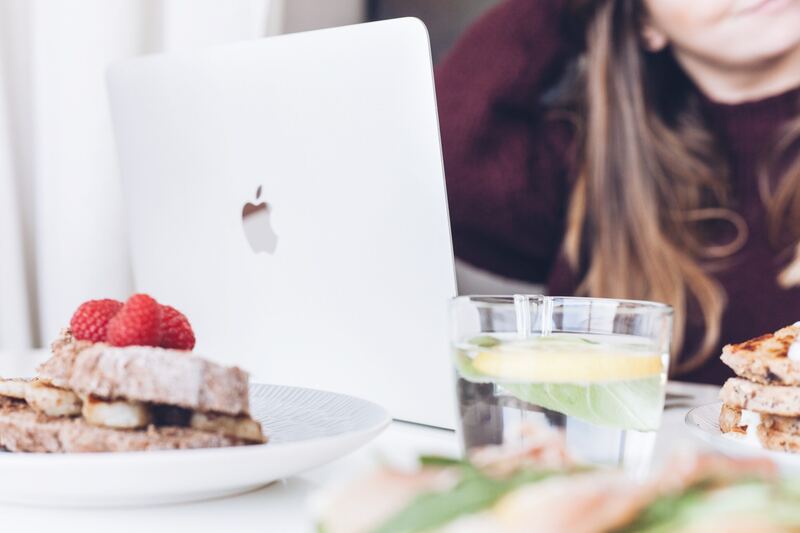 You know that healthier, happier employees are better for your bottom line, but most ‘wellness’ solutions that come across your desk don’t address the core problem—better employee health begins with better food choices each day. Exercise is a key piece of the puzzle, but we are what we eat, and good health and weight ultimately begins and ends with what’s on our plates. 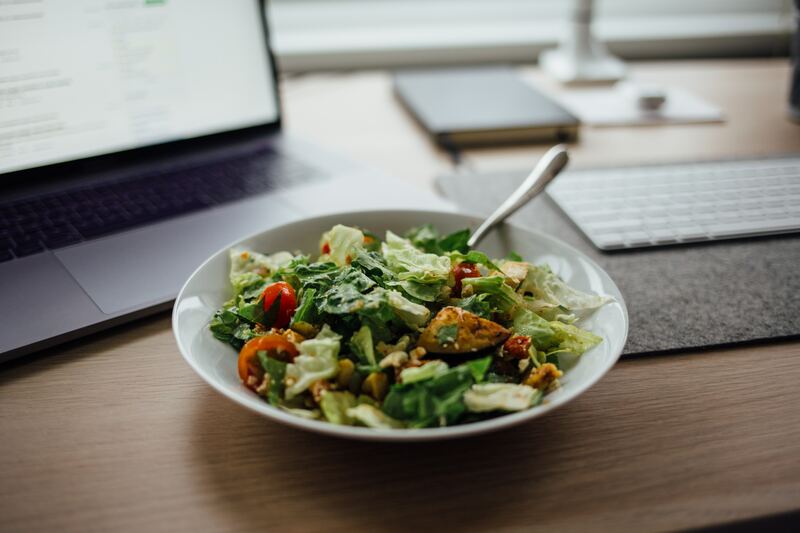 Historically, discussing one’s eating habits with employees would be taboo, so how can a company broach the topic of healthy eating successfully? Two fundamental principles of discussing healthy eating at the office are: 1. Involve everyone instead of singling out individuals and 2. Don’t make it about weight loss. Involving everyone in a unified conversation prevents team member alienation, and focusing on healthy habits instead of weight prevents any passing of judgement—thereby creating a positive, universal, and level playing field upon which the entire team can actively engage in wellness activities and improve their health. A unique solution has been developed using these very principles alongside the latest in behavioral medicine and nutrition—Foodstand’s Team Challenges empower people to make healthy habits an everyday behavior, and build the ‘rules for good eating’ joyfully into daily life. The healthy eating behavior-change platform is mobile-first and allows entire teams to work together judgment-free, giving HR Directors and Benefits Managers a turnkey tool to deploy effective and targeted wellness without much effort. The platform comes packed with easy tracking (appropriate for all ages), helping people pursue progress over perfection, and enable lasting change. With an up to 95% completion rate, Foodstand’s bite-sized Challenges are sustainable year-round, preventing the inevitable abandonment of January’s well-intentioned resolutions, and helping keep your company healthy 365 days per year. 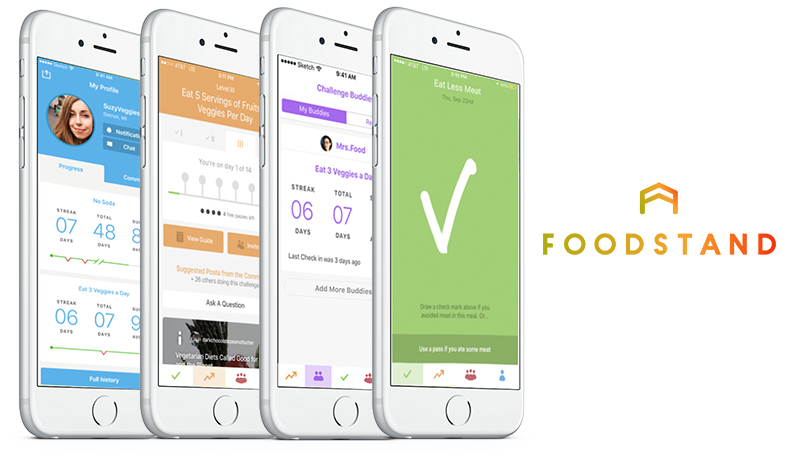 Introducing Foostand’s Team Challenges as the nutrition component to your worksite wellness program takes the work of developing and managing a complex platform off of your slate. At an honest price point, Foodstand’s platform pays for itself—engaging the entire staff, generating measurable healthy habits, and eventually cutting costs and saving you time and headache—while providing your employees with the nutrition education, guidance, and inspiration they need to become and stay healthy. Foodstand’s detailed weekly reports reveal trends, behaviors, outcomes, retention and more, offering your team full transparency. This is not a passive program. The goal is to improve impact by providing your company with a custom-fit program—workshops, intra-office competitions, and personalized reporting—to suit your unique needs. Not only do Foodstand’s Team Challenges enable a healthy, achievable and sustainable lifestyle for your employees, they also foster team building. Employees compete against each other and toward common healthy eating goals in 30 day intervals, promoting mutual support and interaction. Social accountability is key toward achieving and maintaining goals, as well as for good company morale—a win-win for your business. Pave a new path in comprehensive employee wellness—spanning from exercise to nutrition and everything in between. This ‘save now, save later’ endeavor is helping to develop and revolutionize an industry, and keep money in your own pockets. The health of your employees and your business are worth the investment.